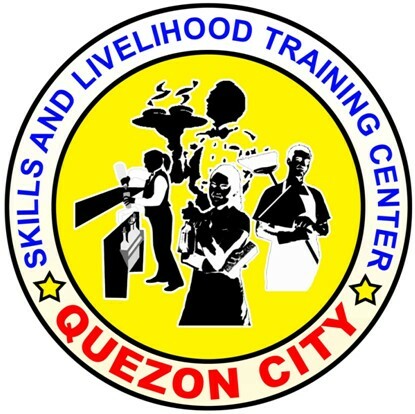 Hi Jersie, sorry wala silang online forms or downloadable application forms, you have to visit the training center personally to apply and make sure you bring all the requirements with you. Good luck and God Bless! Gud pm!.ask ko lng po mayroon pbang training ngayon sa masssage?? may idea po ba kayo magkano ang fees? 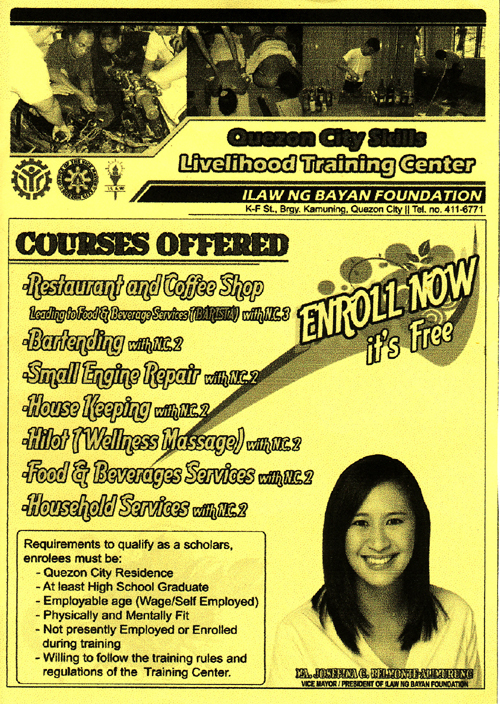 Hi po ask ko lang po kung meron pong schedule from April 2013-May 2013 to any courses po? Hi Alpres, please call 411-6771 and inquire. 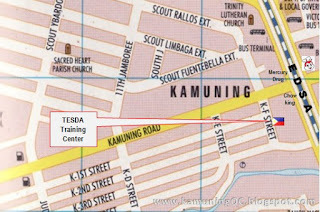 As I've said here before, I'm not connected with the training center :) www.KamuningQC.com is just an online community directory of the places here in Kamuning. I think they have for some courses but not all. Please contact them directly to be sure. Tel. no. 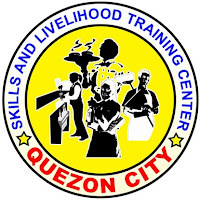 411-6771.
i just want to ask, what if im not a resident of quezon city? good afternoon po ! 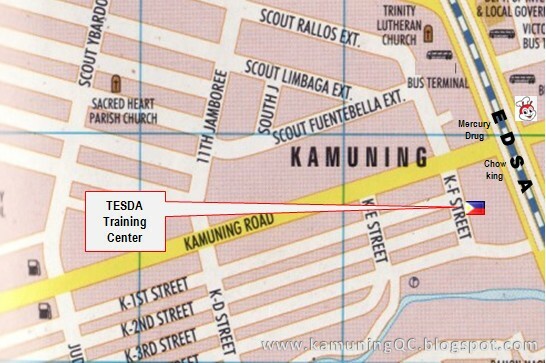 anytime po ba pweding pumunta sa sa tesda ? 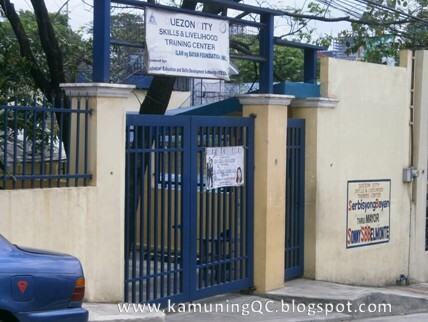 thank you po ..
Hi Ricky, you can visit the training center from Monday to Friday between 8am to 5pm (except non-working Holidays). Sorry for the late reply. Please read all the information posted to avoid asking unnecessary questions. 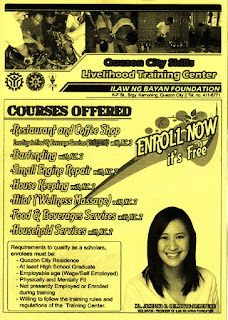 Also, kindly contact QCSLTC directly thru Tel. no. 411-6771 as I am not an employee nor connected with the training center. This way you can get accurate information at a much faster rate (as I'm not always online). good pm po mayroon po ba kaung electrical courses? at carpenter?. salamat po... Have a nice day po, God bless po.